Cohabitation agreements are governed by section 53 of the Family Law Act in Ontario. This section gives statutory authority for people who are or will be cohabiting to enter into an Ontario cohabitation agreement that sets out their rights and obligations to each other during their relationship and when their relationship ends. 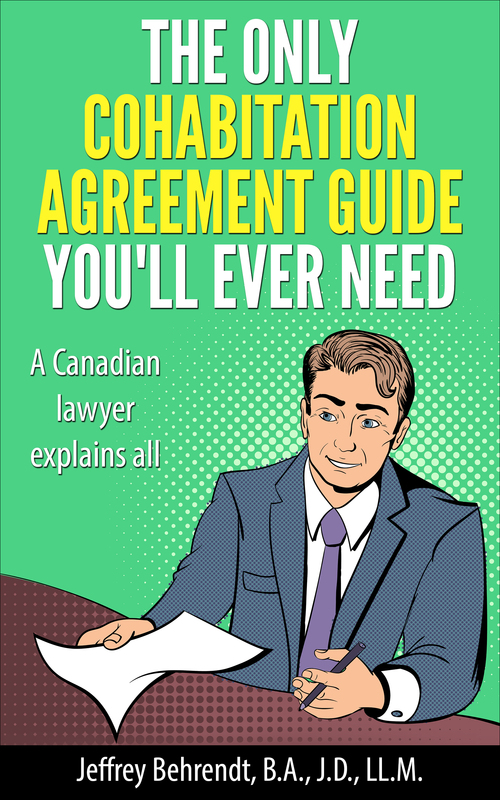 The section also states that if the couple marries, their cohabitation agreement turns into a marriage contract (prenuptial agreement). @Emily – Quebec uses a different legal system than the rest of Canada. Quebec law only grants spousal support rights to married people, not common law partners. This has been upheld as constitutional by the Supreme Court of Canada. However, signing a cohabitation agreement that explicitly sets out spousal support obligations can be done. versus a more lenghtly 2-3 page agreement. both of us signing the agreement. Each person needs one witness for the agreement. @Anna – In general yes, if the agreement was drafted by a lawyer, and both you and him were represented by lawyers. You really need a lawyer to go over the agreement with a fine tooth comb, and discuss with the lawyer the circumstances of your ex losing all his money.